This easy orange mint tea recipe contains no tea. Its name comes from the fact that the mint is steeped, as tea leaves would be, to make this refreshing beverage. It can be made with honey instead of sugar, if desired, and is best served cold. 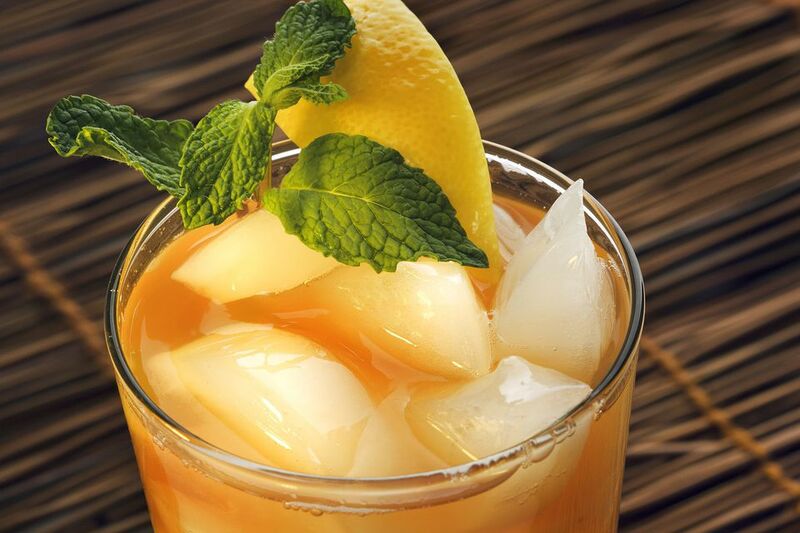 Take advantage of fresh spring mint for this satisfying thirst quencher. In a medium saucepan, bring 3 cups water to a boil. Add the mint, cover, remove from heat and steep 15 minutes or longer. Remove mint. Add and stir until dissolved 1/3 cup sugar (or honey). This concentrate may be cooled and frozen for later use, if desired. Combine orange and lemon juices in a 2-quart serving pitcher. Add mint concentrate and enough water and ice to fill the pitcher to the top. Chill thoroughly and serve garnished with spring sprigs and thin slices of oranges or lemons.